Dubai: Dubai Police has unveiled a hydrogen-powered drone while participating at the 21st edition of the world’s leading security, safety, and fire protection trade show in Dubai, Intersec, being held at the Dubai International Trade Centre (DTCM). The hydrogen-powered drone will be used to survey mountainous and marine areas and conduct surveys and security surveillance. Dubai Police also reviewed top five drones used for security purposes. 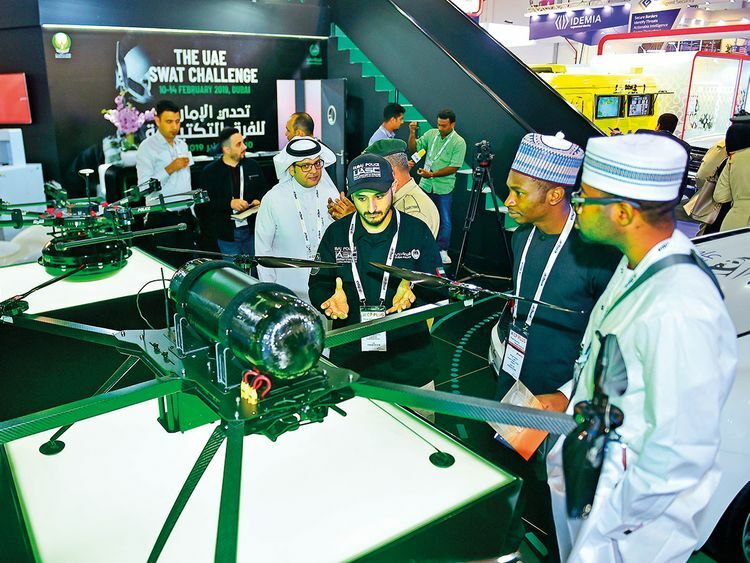 Major Abdullah Mohammad Al Beloushi, Coordinator of Intersec 2019, said Dubai Police is keen to use the latest technology in policing and field operations, including drones, as they make it easier for police to carry out their day-to-day tasks. Eng. Wael Asaad Ebrahim, Member of the General Directorate of Operations of the Dubai Police, said the hydrogen-powered drone is the first of its kind and can fly for more than 3 hours continuously.